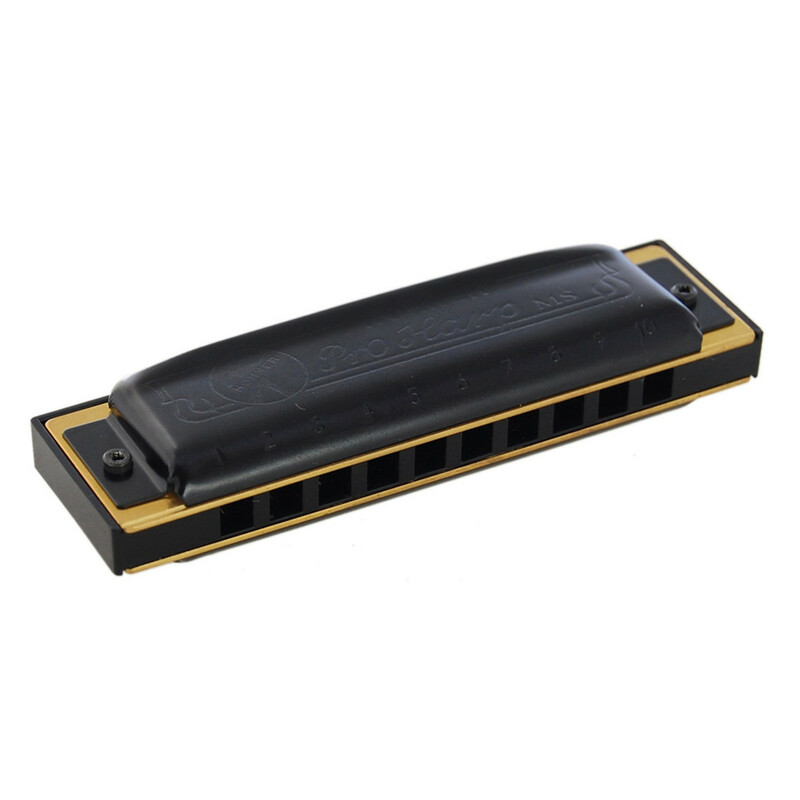 The Hohner Pro Harp MS is a stylish and professional harmonica perfect for any Blues or Rock harmonica player. Featuring an elegant black ABS comb, black lacquered Stainless Steel cover plates and 20 Brass reeds with 0.9 mm Brass reed plates, the Pro Harp MS delivers outstanding looks and tone, sure to satisfy most any player. The Pro Harp MS features Hohner's innovative Modular System (MS) design, which opens new doors for personalisation and customisation. The system allows you to swap components (covers, reed plates and combs) with those of any other Hohner MS harmonica, enabling you to create the perfect instrument to suit your needs and preferences.